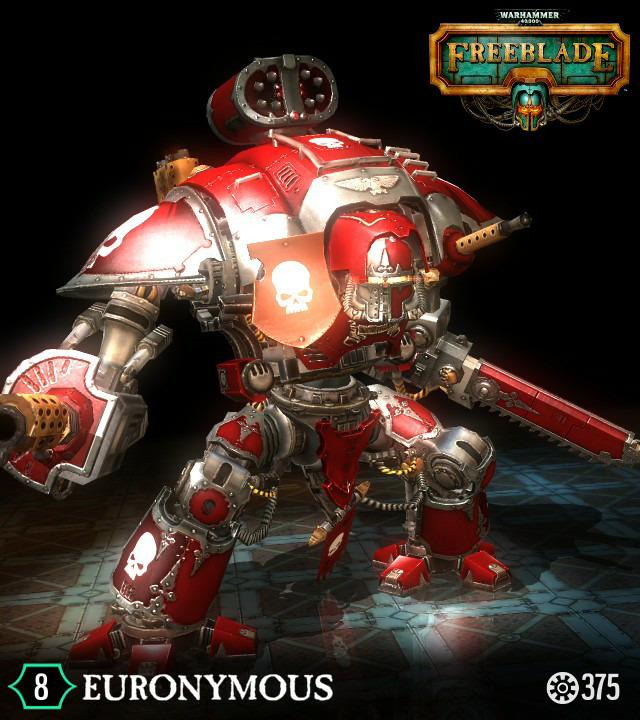 I’d been pretty envious of those Apple fans who got Warhammer Freeblade first so I was pretty overjoyed when it got ported to Android the other day. The fact is the game itself isn’t as in depth as I imagined it to be, but then it’s a mobile game, it’s not exactly a free roaming sandbox shooter. In one review I heard it described as a ‘rail shooter’ which is pretty apt when you get down to it. 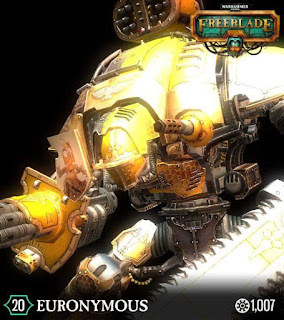 Much like a roller coaster your Freeblade Imperial Knight moves from one opportunity to lay down the Emperor’s will to the next. 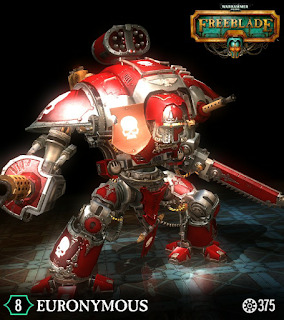 You don’t get to move the Knight itself all you really do is point at the bad guys and obliterate them. The tactical opportunities revolve around which gun you’re going to use to do it! But actually I really like it, sure I’d love the game I imagine it could be, and on a games console that would be awesome, but this is still pretty cool. I’ve played a number of games solidly for a few weeks and eventually lost interest – Real Racing, Tiny Troopers, Run and Gun, Carnage and Star Wars Uprising, but this is the only app I felt compelled to make an in-app purchase. For £2.99 I bought an upgrade pack with a bunch of Revives, Gold, some rare weapons and more importantly the Queen Bee livery from Tibbs Forge. I have to say this upgrade has certainly helped progress. Having made a purchase I also get loyalty bonuses every day with more Ore or weapon cases in addition to the daily bonuses. 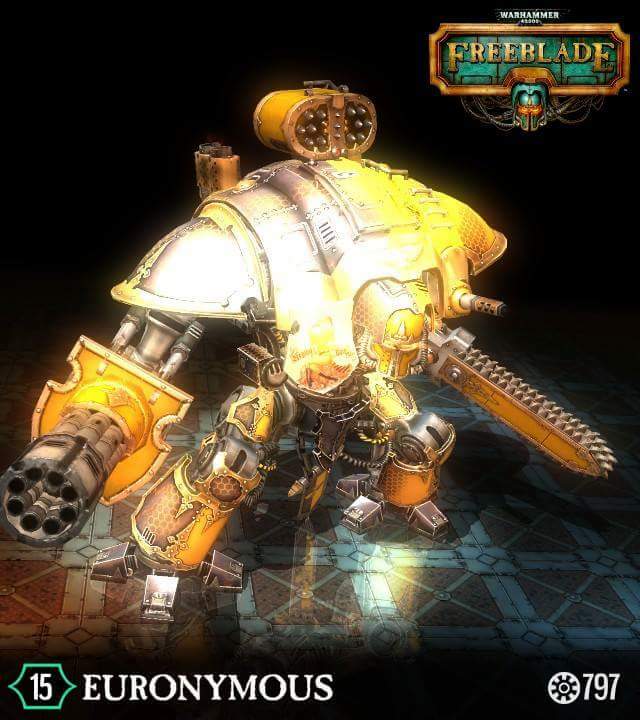 The game itself also includes options to watch video adverts to have another crack at a daily mission or add bonuses to your next mission. I really like this, I can see how it might be annoying to some, but it is optional so you don’t have to suffer them. However, you can set an advert going go off and do something for 20 seconds come back and you’ve just got boosted experience for nowt! So I like it. And of course in other news - Dawn of War III and everyone's talking about the money shot. Further news reports show some potential in-game graphics. I’m particularly interested in the barricades you seem to be able to make, in particular what appears to be an Eldar Aegis Defence Line [bottom, to the right of the middle in green]… just saying. Spot on assessment of the game, sums up my experience as well, although havent forked out any money yet! Oh I didn't know it was on Android now. Cheers. 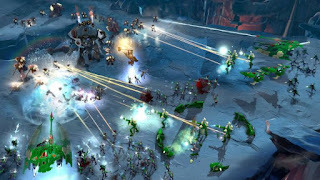 I loved Dawn of War 1, especially Dark Crusade with the map-based campaign system. 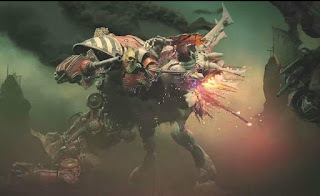 I was not a huge fan of Dawn of War 2, I preferred the army wide battles over focusing on a single unit. Really looking forward to Dawn of War 3, I hope it goes army-wide again!